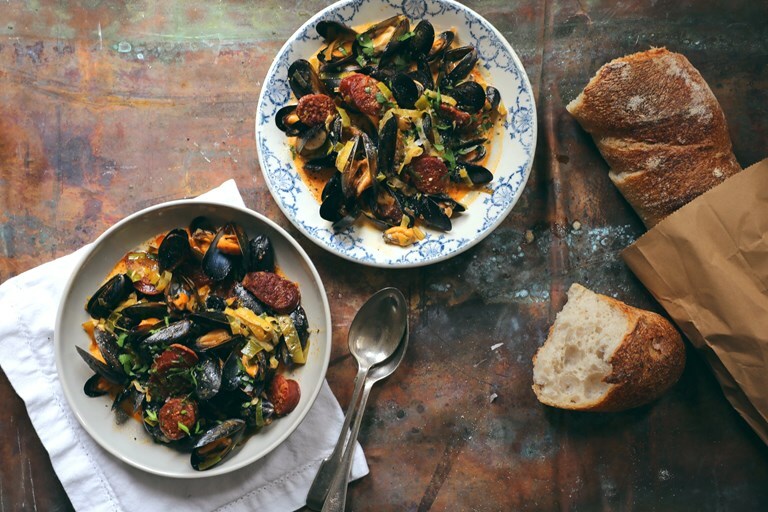 The combination of mussels, leeks, cider and chorizo is a match made in heaven – just make sure you serve Georgina Fuggle's stunning dish with plenty of bread for mopping up that beautiful sauce. There is something satisfying about discovering a blanket of mussels clinging to a rock. Plucking them from their home and dropping them for a bath in the sink makes fishing trips seem quite manageable. Of course, there are even easier ways. Mussels are at their juiciest for the last and first three months of the year so pick your moment, savour the preparation and inhale the sea steam as the cooking begins.